Despite possibly being judged by the UPS guy, the FedEx store, and the U.S. Postal Service, I’ve had a bit of a subscription box problem lately. I love the feeling of getting things in the mail, and nowadays you can pretty much find a box for anything (even toilet paper … I wonder if they call it “artisan toilet paper?). 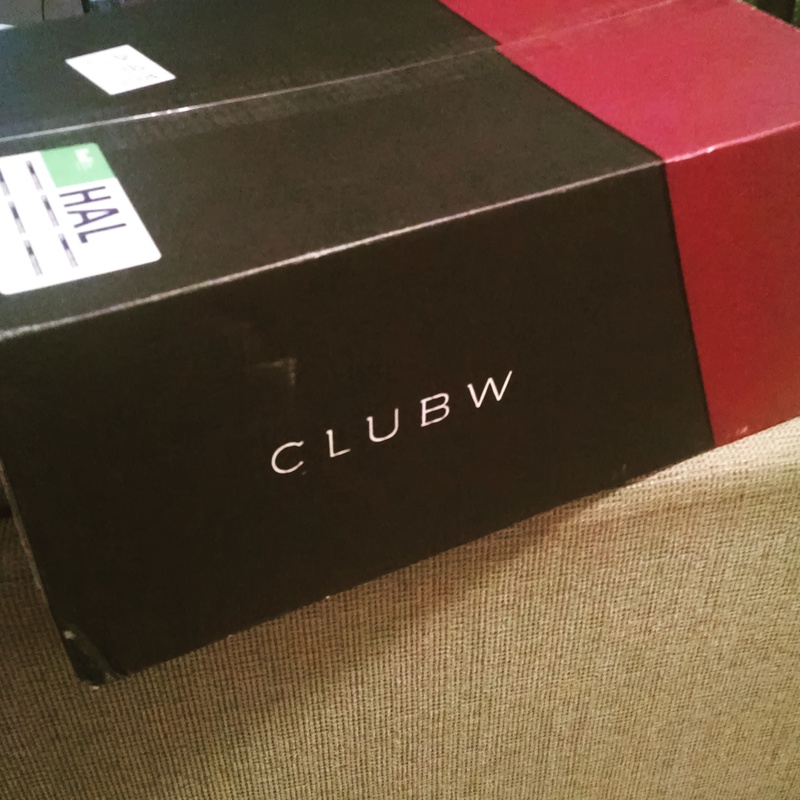 It’s no secret that I love wine, so I decided to try the Club W wine box service. We’re always picking up a bottle here and there, so $39/month, to me, is not terrible for wine (especially since we don’t go out as much as we used to). They “guarantee” that you’ll like what they pick, which is based on a short quiz you take before signing up. You can then choose whatever wines you’d like for your box based on their recommendations, or from the entire collection. The lovely box. I was VERY excited to receive it!